We are proud of our family at Forest Valley Veterinary Clinic. 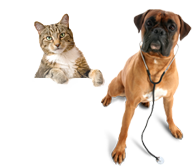 We take patient care very seriously and we want you to know your pet is in good hands. Our Licensed Technicians (‘Nurses’), Receptionists and Assistants have decades of experience between them and they also understand what it feels like to be in your shoes. We know you like to see a familiar face when you come through our door, and someone that is genuinely interested in helping you care for your pet. Dr. Bruce Behrends grew up in Oregon, went to school in Oregon, and never thought twice about living anywhere else. He started his career working at the Veneta Veterinary Hospital back when they saw ‘all creatures, great and small’. If you catch him on a slow day, he has some great stories to tell about those middle of the night farm calls. Over the years, he decided to focus his energies on small animals and creating a veterinary hospital that serves the needs of our community. He is now part owner in the Forest Valley Veterinary Clinic and Veneta Veterinary Hospital. 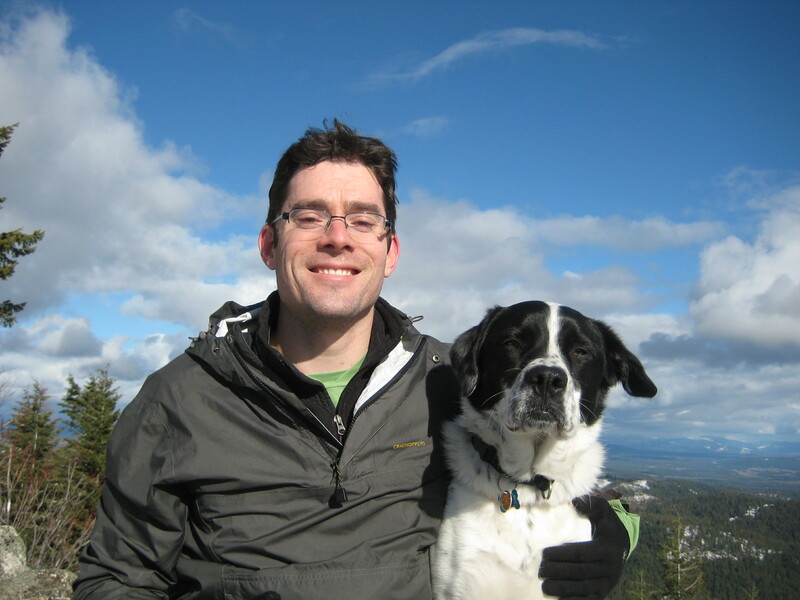 Dr. Paul Schiffgens has been working at Forest Valley Veterinary Clinic and Veneta Veterinary Hospital since his graduation from Oregon State College of Veterinary Medicine in 2012. Having grown up in Maryland, he moved here in 1996 to attend the University of Oregon where he received his bachelor degrees in International and Environmental Studies. He fell in love with the area and has called it home ever since. After undergraduate school, Paul worked for several seasons on local organic farms before setting his sights on Veterinary Medicine. Though it was a passion for large animals that originally sparked Dr. Paul’s interest in Veterinary medicine, it is the care for our client’s smaller pets that continues to feed the fire. Paul, with his wife and children share their house and property with three cats, Pider, Pippi and Mimi, and one Australian shepherd, Luce (pronounced Lucy). 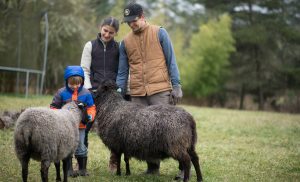 Dr. Paul hasn’t stopped caring for large animals all together; he continues to do so by caring for his family’s small flock of Gotland sheep. He and his family also tend to an ever changing assortment of fowl and small mammals. When not working, Paul can also be found in his garden, tending to one chore or another, or otherwise knee deep in a project or activity with his family. 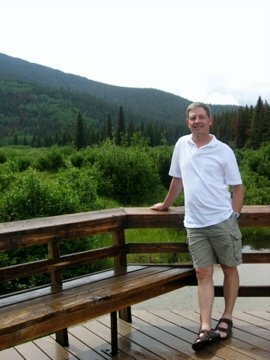 Dr. Urquhart is originally from Massachusetts and Maine but he has fully defected to the Pacific Northwest. He spent time over the years in a wide variety of pursuits: from landscaping and maintenance to sailing the Atlantic Ocean, then building wooden boats and researching algae biofuels and genetics. Ultimately, he decided he wanted a more practical career where he could spend his time helping individuals and work with his hands as well as his mind. He graduated from the Washington State University College of Veterinary Medicine and has been treating small animals ever since. 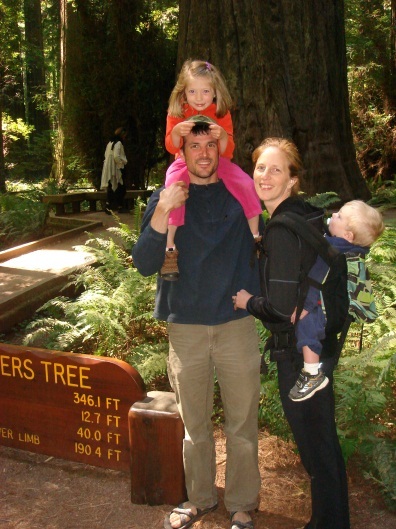 Dr. Urquhart’s interests outside of medicine have usually taken him off the paved road. During college, he helped children to develop a love and respect for the outdoors by taking them on week-long sailing and backpacking adventures. This trend continues to this day where you can often find him on his days off hiking, surfing, or backcountry skiing with his dog and girlfriend. His other interests include taekwondo, international travel, and trying (and mostly succeeding) to fix anything that is broken at his house. 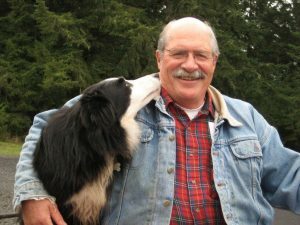 Dr. Urquhart has been with Veneta Veterinary Hospital since 2017. In 1970, Dr. Penfold graduated from Michigan State University and moved his family to Eugene to start life as a veterinarian. Since then, DuWayne has seen the community grow and change in many ways, but has maintained a philosophy of compassion and service to pets in need. He has given his time as President of the Lane County Veterinary Medical Association and the Oregon Veterinary Medical Association, and as State Delegate to the American Veterinary Medical Association. There was even a time in the ’80’s, when he travelled to Salem to help save OSU’s veterinary school who’s funding had been cut from the state budget. There are many veterinarians in our area that have been mentored by Dr. Penfold, and many graduating classes of veterinarians that may never have been without him. We are happy to accept resumes for those interested in being part of Forest Valley Veterinary Clinic. At this time, we do not have any available positions.